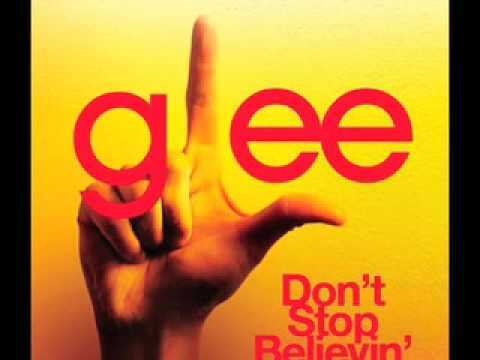 Don't Stop Believin' by Journey is featured in Pilot, the first episode of Glee season 1. It is sung by Finn (Cory Monteith) and Rachel (Lea Michele) with the original New Directions. It is also the first song to be sung by New Directions as a performance in the school auditorium. The song has been reprised in Glee's first season finale, as well as in an audition episode of season 4.